The deadline for securing room reservations as part of the NDA's 40th Anniversary Convention room bloc has been extended. The Hilton San Diego Bayfront has extended the Association's room bloc until Tuesday, Feb. 26. Call (619) 564-3333 to reserve a room at the Hilton. Make sure to mention that you art part of the NDA's Group. Still interested in placing a congratulatory ad in the NDAS's 40th Anniversary Commemorative Yearbook? The deadline to secure ad space for the Yearbook has also been extended until next Tuesday, Feb. 26. Simply call NDA Headquarters at 1-800-541-2412. All funds raised through the sale of Yearbook ads will be used to support and expand NDA member services. Incoming NDA President Jeff Kroeker of Kroeker, Inc. in Fresno, Calif., has announced the dates and location of this first Board of Directors' meeting. The summer Board meeting in 2013 will be held at the J.W. Marriott in Santa Monica, Calif., on June 7-8. Incoming President Kroeker encourages all NDA members and guests to attend this important Association function and participate in the management of the NDA. In an effort to enhance the overall content of the NDA NEWSLETTER, we'd like to include peer-written articles in future editions. 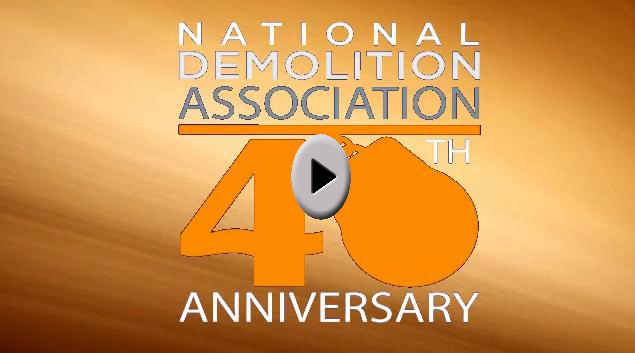 As a member of NDA, your knowledge of the industry lends itself to unprecedented expertise. And we're hoping you'll share this expertise with your peers through well-written commentary. Because of the digital format, there's no word or graphical limit and our group of talented editors can help with final edits. If you're interested in participating, please contact Ronnie Richard to discuss logistics and payment.